Bollywood superstar Salman Khan who turned 53 yesterday, has celebrated his birthday with his close friends including Katrina Kaif, Sushmita Sen, Anil Kapoor among others at his Panvel farmhouse. From cutting the cake with media and dancing and enjoying with his friends from the industry, Salman has celebrated his birthday with all the fun and frolic. The videos and photos from his bash made it to social media and went viral in no time. 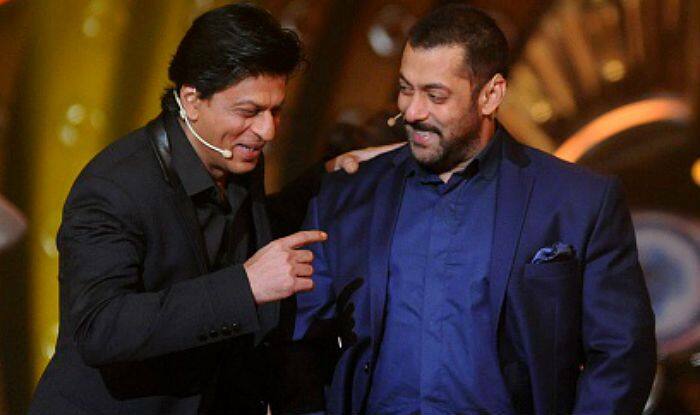 Now, an old video of Shah Rukh Khan and Salman Khan has gone viral on the internet. Both the Khans are seen singing live “Pyaar hamein kis mod pe le aaya” and it will win your heart. The video is the most cutest thing on the internet today and it will make you watch it on a loop. The Karan and Arjun of Bollywood are giving us major friendship goals and we can’t get enough of it. “Whenever life gives us a chance to sit it out or dance…WE DANCE” The journey from falling in love with #Prem on screen in Maine Pyar kiya #1989 to sharing the screen with him in Maine Pyaar Kyun Kiya #2005 ❤️what a destined journey indeed!!! Happy Birthday to a man who never stopped celebrating ‘Being Human’ Have a blessed year @beingsalmankhan ❤️Know that I will ALWAYS love you!!! #friendforlife #happybirthday #duggadugga ❤️mmuuuaaah!!! Earlier, a video went viral where Salman and Sushmita were seen hugging each other and then went on to take the stage on fire with their dance moves. Not only this but his rumoured girlfriend Lulia Vantur also crooned the birthday song at the bash. On the work front, Salman is occupied with the work of filmmaker Ali Abbas Zafar’s Bharat. The film also features Katrina Kaif and Disha Patani in pivotal roles. It is scheduled for Eid 2019 release. It’s an official remake of popular Korean film, titled Ode to My Father. Shah Rukh Khan’s Zero which released last week is doing pretty well at the box office.